Below is a listing of formal veterinary technician internship/work study programs as well as a list of local hospitals that are willing to take on student veterinary technician interns. Students should contact a hospital/facility directly to obtain information on intern opportunities available. 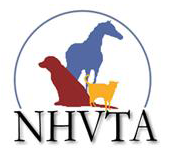 The NHVTA does not sponsor or recommend any specific hospital or facility. We make no warranties regarding the quality of the intern experience provided. This is a paid internship for graduates of AVMA Accredited programs. This is a paid internship for graduates of AVMA Accredited programs. Current openings run from June 8, 2015 – June 10, 2016. Click to open flyer with details. Equine veterinary medicine work study program. Senior Year or Post-graduate Students only. 4 days/week for a minimum of 6 weeks. For Veterinary Technician students in their last year of an accredited Veterinary Technician program while pursuing a career in exotic or wildlife medicine. Unpaid. Five week rotations. The internship is open to students who are currently enrolled, or recently graduated (within 1 year) in a veterinarian program. Past experience in animal hospitals is a must. The Zoo will provide on-the-job training. List of local hospitals willing to take veterinary technician interns.